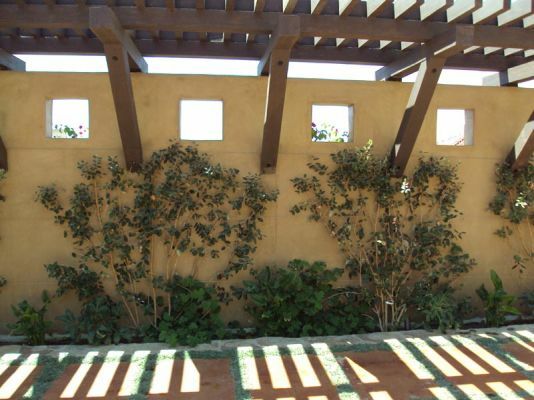 This house had a large unattractive concrete area in front of the garage. 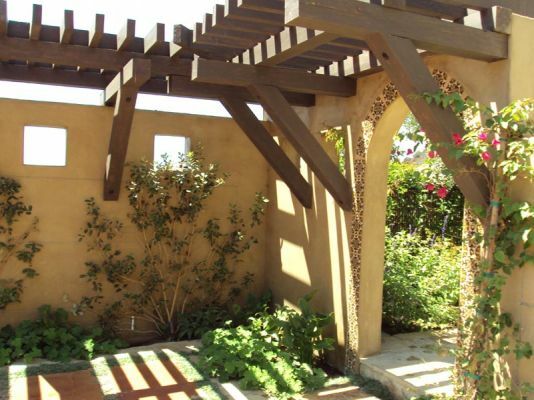 This area was converted into a large attractive courtyard surrounded by Spanish style walls, driveway and pedestrian arches, and traditional wood pergola. 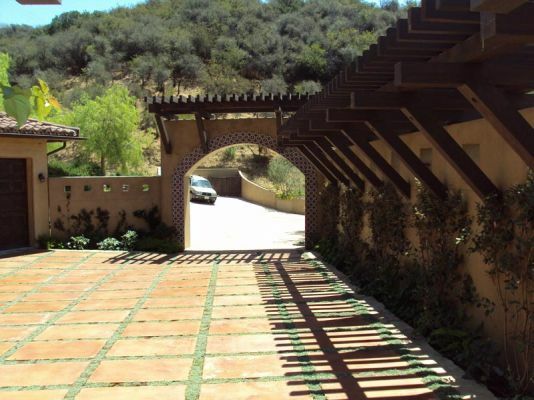 The concrete driveway was saw cut, stained, and planted in between the resulting individual concrete slabs with ground cover. 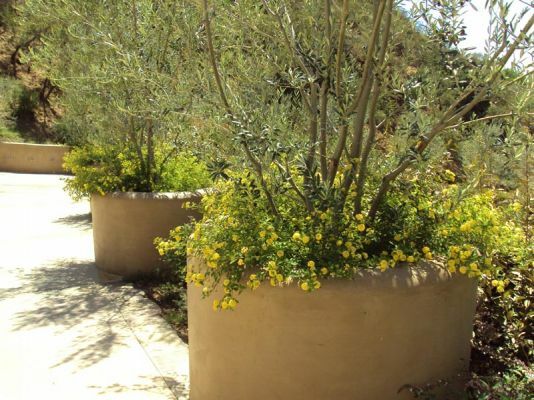 The resulting look is that of large Saltillo tiles softened by planting between each. 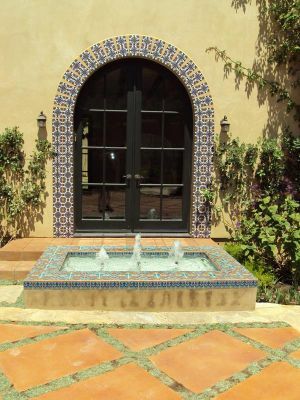 To complete the transformation, a Malibu tile fountain was added in front of a window with Malibu tile arch inset. 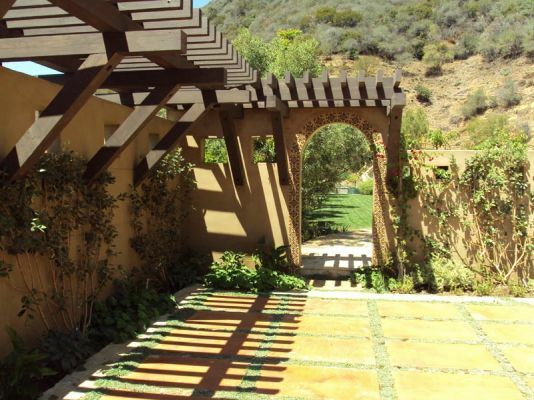 In the back yard a tree house and large slide into the swimming pool was provided for the owner’s children.